Unless you've been to Turkey or are Turkish you may have similar preconceptions to me of Turkish cuisine, that it is all reformed meat kebabs in pitta bread. Well, I have to put my hands up and admit I was wrong. 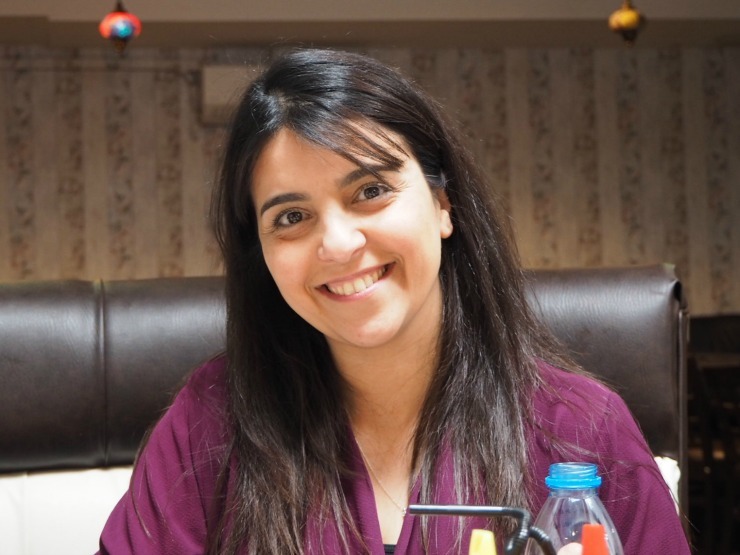 Last week I was invited to a cookery class at the Saray Turkish restaurant in City Road Cardiff. 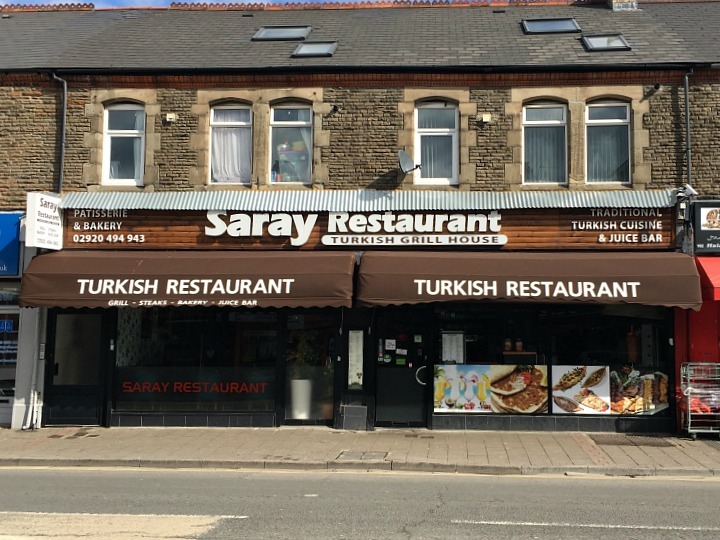 Saray opened in 2015 and have been proudly serving Turkish food since then. 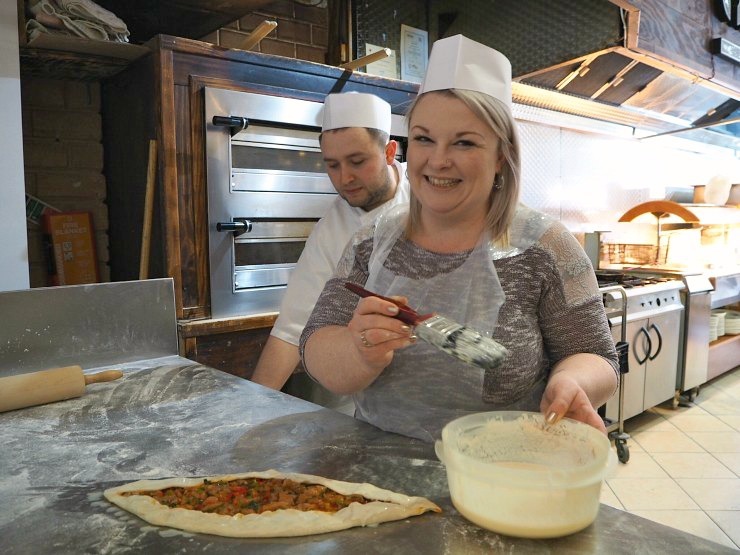 Their motto is 'everything from scratch, fresh and delicious'. The meaning of the word Saray is 'palace'. 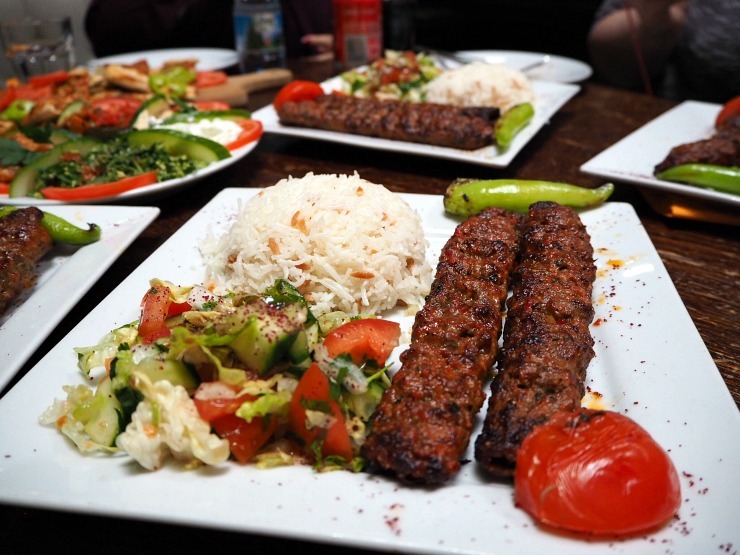 Throughout history, Saray's have always been a place of getting together and sharing different cuisines. I was joined by my friend Kacie Morgan from The Rare Welsh Bit and Charlie from High Street Beauty Junkie. We were met by the very sweet Selma, who part owns the business and Kelly the lovely PR lady. 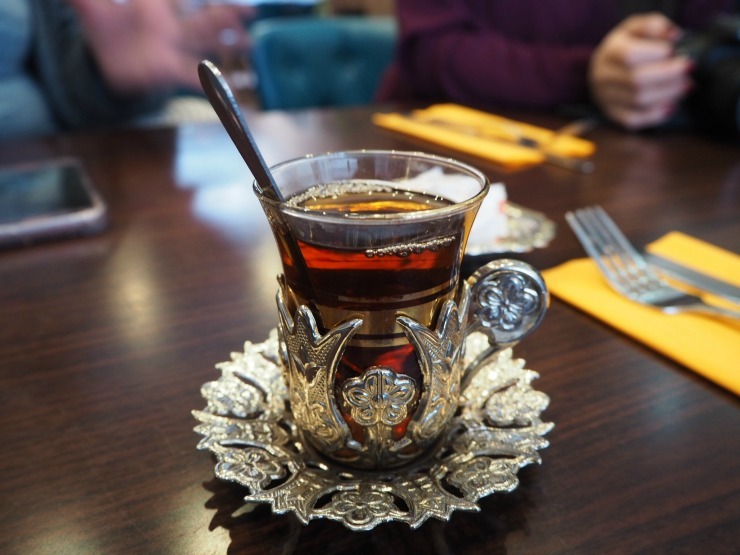 My first taste of Saray's Turkish hospitality was a cup of Turkish tea in a pretty cup. Everyone who comes here gets tea as a form of welcome. For some reason I expected it to be strong and distinctive like Turkish coffee but it was a like a black version of our English breakfast tea - refreshing all the same! The restaurant is large inside and modern. I was impressed how clean it looked, which is always a good sign. The menu was well priced, with starters such as hummus from £3. There were many dishes on the menu that I liked the look of. A felafel starter at £3.50 sounded tasty and there was a dish of calamari on the menu at £4 which I thought was a bargain. Of the main courses, the grilled whole chicken marinated in a special sauce caught my eye, as well as the kleftiko, a traditional Turkish dish which is a shank of lamb in a rich vegetable sauce. Good to see a variety of vegetarian and vegan options too like a tasty sounding vegetable moussaka. 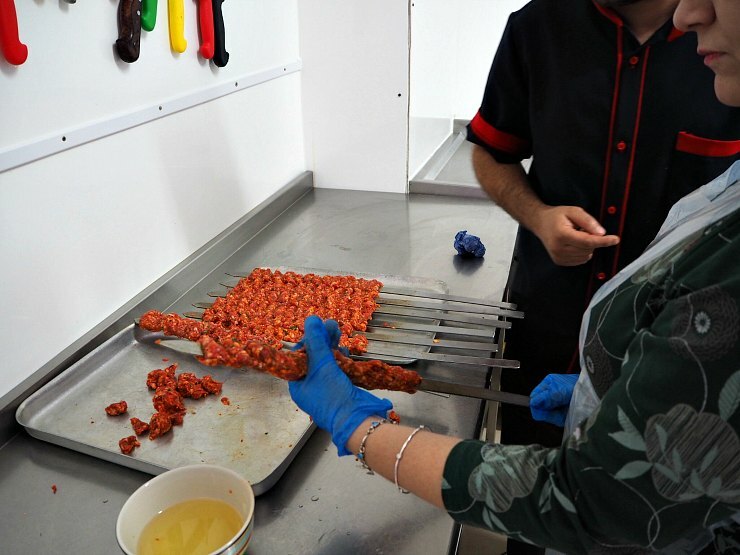 We were here to make our own lunch, so without further ado, we put on our aprons and our hats and donned our gloves to make the first dish - Adana Kebabs. Jihat was our chef. He showed us patiently how to make the kebabs and then let us have a go making them ourselves. The kebabs they make here are made of good quality minced lamb, chopped onion, diced red pepper, salt, chilli flakes and parsley. They are moulded carefully on skewers then grilled for 4-6 minutes until browned all over. Doesn't that sound easy to make? Well, I can tell you, it was trickier than you would think! You need a little bit of oil on your hands to form the kebabs and it's important to have lamb with a little fat to make the kebabs moist when cooking. 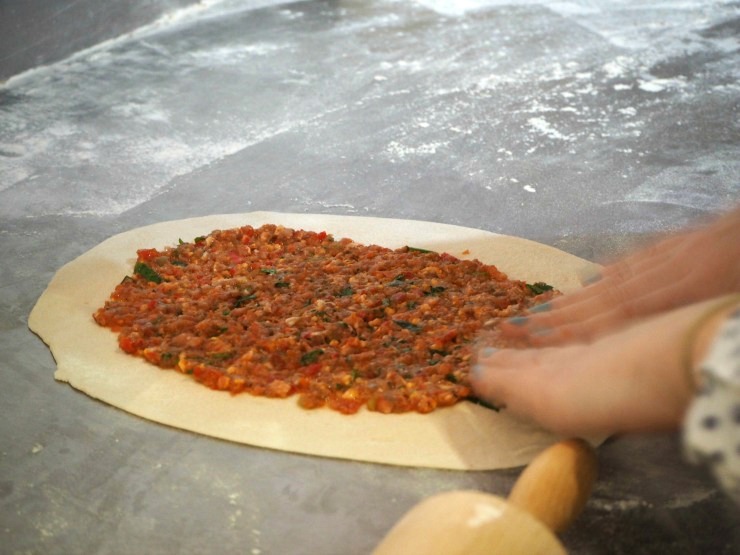 Then onto the Pide bread. 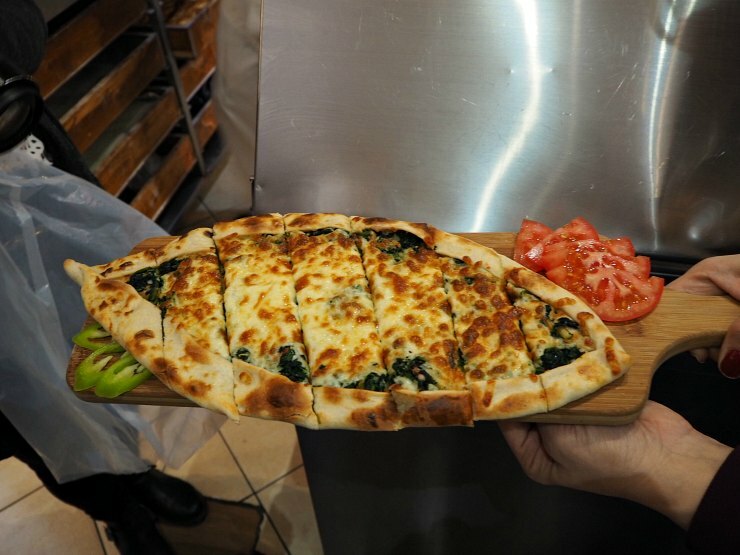 Pide is a delicious Turkish flatbread that has an array of toppings and is baked in a stone oven. 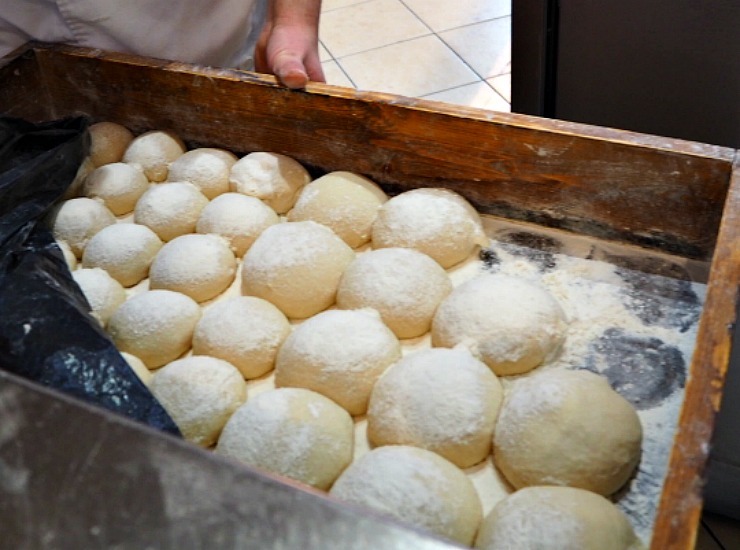 The bread base is made in-house in a traditional way. 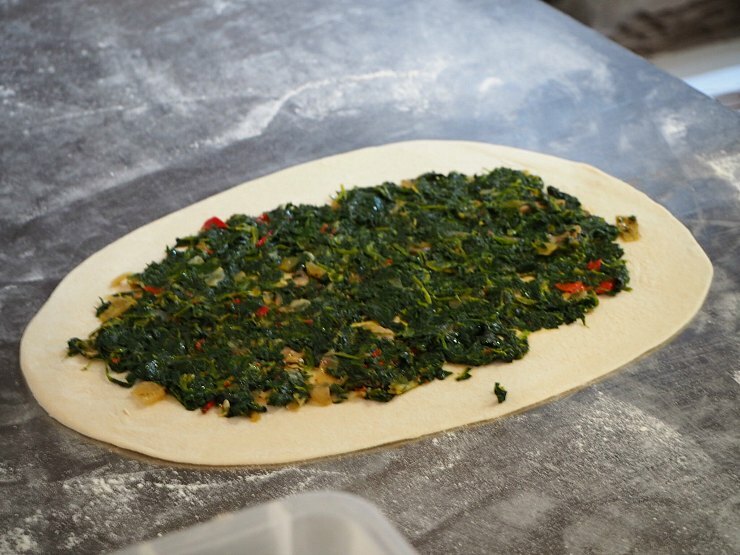 This bread dough base was first topped with spinach and cheddar cheese and folded on the edges to get a crimped effect. Then we made some with different toppings including lamb and chicken. 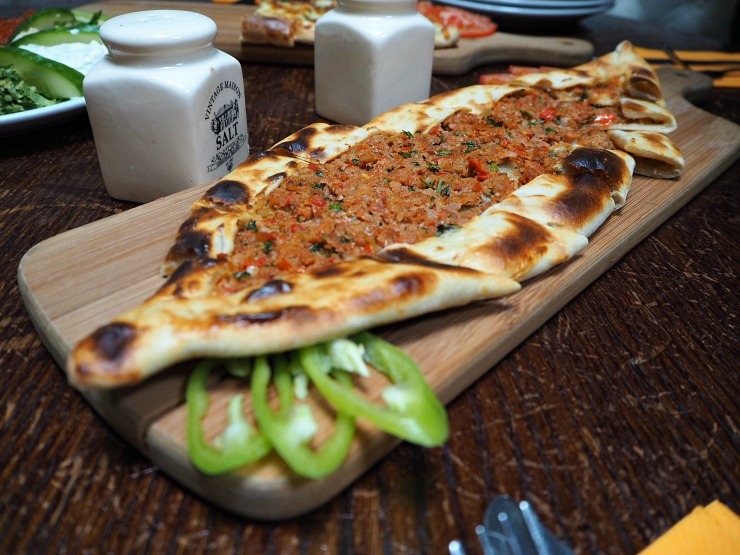 As you can see Pide is the perfect portable dish, with some similarities to a pizza. Great to share with friends or not, depending on how hungry you are. It's a light and delicious dish for sure. Then it was time to sit down and taste our creations as well as try a selection of mezze, lots of small dishes and dips to share. We had hummus which is a favourite of mine - a chickpea, garlic and olive oil dip, tzatziki - which is yoghurt mixed with cucumber, mint, salt and garlic and babagannus - a dish with aubergine, peppers, tomatoes, olive oil and seasonings with an interesting smokey flavour. When all the food came at once, it really was a feast for the eyes as well as the palate. Everything looked super fresh and inviting. The Adana Kebabs were really very good indeed! They didn't have a strong lamb flavour, instead, the chilli gave the kebabs a nice bit of spice and the seasoning meant the kebabs was well flavoured. 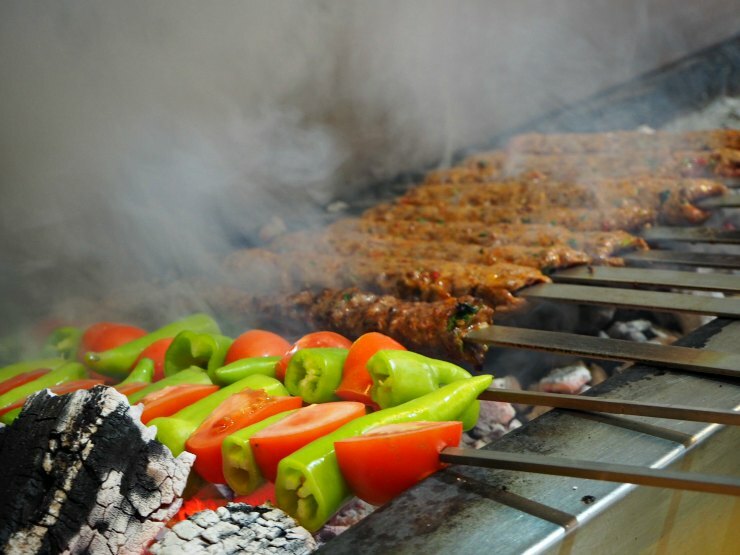 They also were not greasy at all, the fat in the meat helping to keep the kebabs moist. To finish we had Kadayif, the most indulgent treat of shredded filo pastry with pistachio nuts, soaked in a honey syrup. 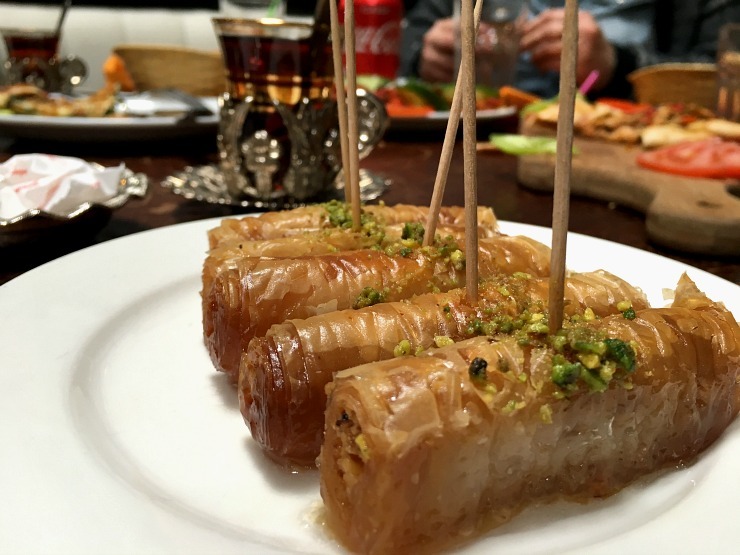 If you've had ever had baklava it is very similar and equally as delicious. I must admit, this was a favourite of mine and I had two! The food at the Saray Turkish restaurant was a total surprise to me, fresh, flavourful, tasty and utterly delicious and not a reformed meat kebab in sight. 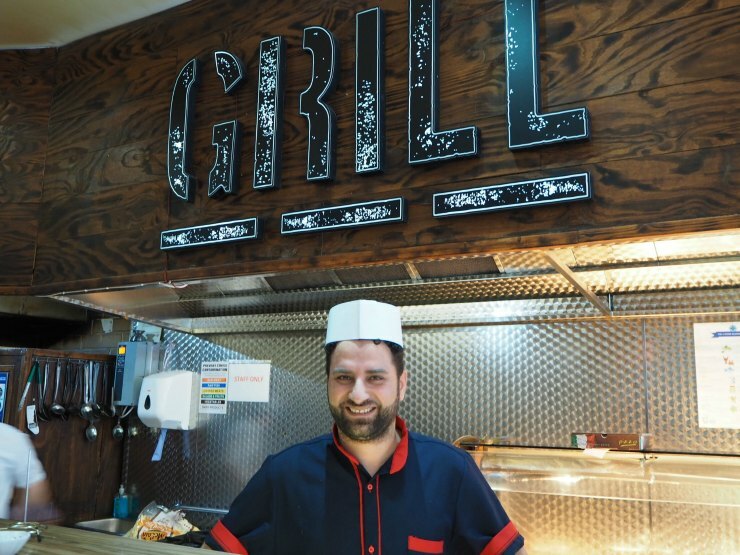 With a variety of dishes for meat eaters and vegetarians, you can do no wrong if you ventured here for a meal out in Cardiff. 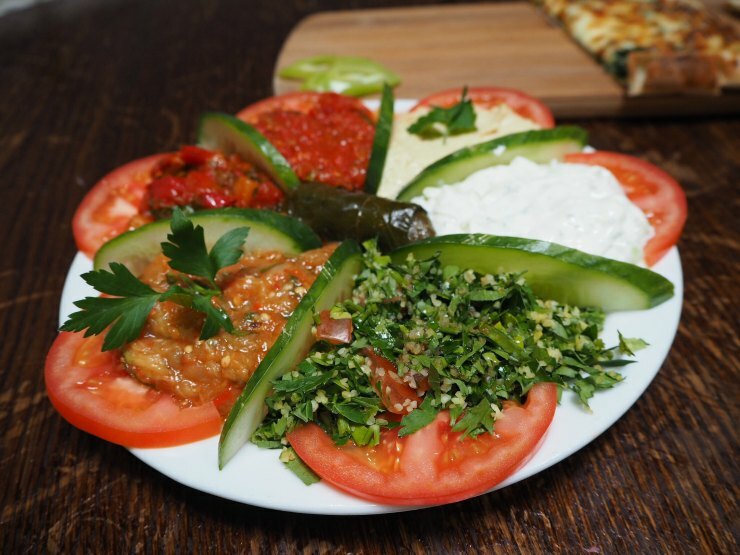 Good, honest, Turkish cuisine, packed full of flavour and served with smiles. Recommended. I am so glad I did Charli! This is interesting as from the outside you would not think too much but wow when you go in you can tell they have some very nice food to tick into. Yes, lots of veggie options and I tried a few, like the spinach pide flatbread. Delicious! I love that you got a full experience on how the food is made in a traditional authentic way, and not just had simply the meal. 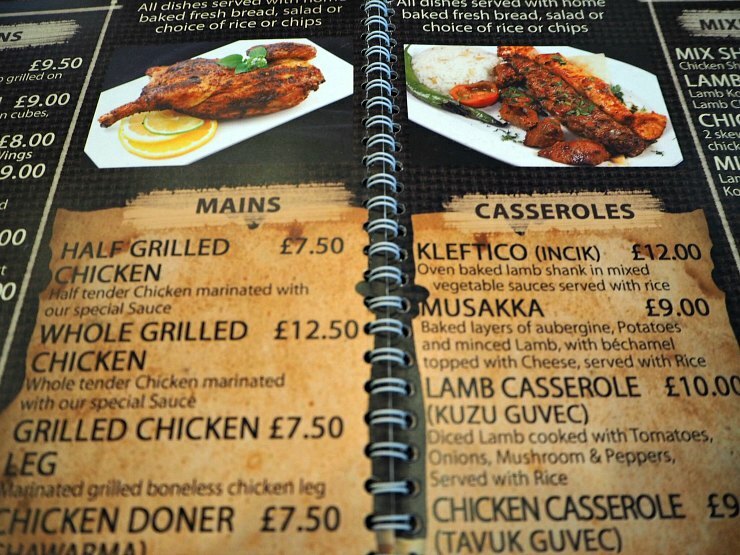 I would love to eat at this restaurant if I ever pass by Cardiff, I love Turkish food. Yes it was interesting to find out how they made the pide and the kebabs. All fresh ingredients made from scratch. From the outside you wouldn’t expect for it to look like that in the inside. The food looks so delicious, my mouth is watering big time. O wow, what an experience. I would totally love to be able to come eat at this same establishment. Thank for sharing! The chicken kebabs here looked insane Rhian! This food looks lovely! I've never tried Turkish food but it looks and sounds amazing! It was so much better to what I was expecting.